The Max Planck Institute in Leipzig have surveyed 109 resource management areas in Africa for twenty years to reach profoundly disturbing conclusions. The future of our nearest relatives is in doubt. In order to literally combat (in some cases) the decline of the Great Apes, it is now necessary to quantify the effects of every conservation measure. In that way, we can use resources to their best effect. 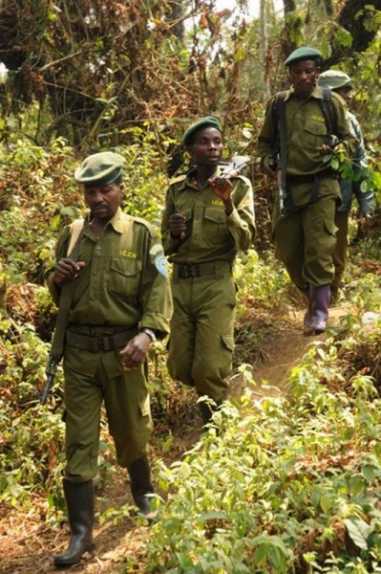 The four different types of conservation are law enforcement guards; tourism; research and non-governmental organisations. In 16 countries throughout the continent, prolonged conservation measures do decrease the probability of ape extinction. Lack of law enforcement on the other hand, and to a much less degree, lack of tourism and research significantly increase the risks of disappearance in an area. "Remaining wilderness areas are disappearing at a rate which is unimaginable for most people. If we want to preserve some of these places for the future, we need many more studies of this type" says conservation group leader Hjalmar Kuehl of the MPI for Evolutionary Anthropology. DR Congolese researcher Fidele Amsini of Frankfurt Zoological Society remarked that survival of African Greats Apes depends on law enforcement. Obviously the bushmeat scandal and other effects must be fought and sanctions applied. After the wilderness disappears, people invade areas and such population movement must be monitored. Sometimes people have little to eat, the wild bushmeat providing their main sustenance. On the other hand, the critically-endangered gorilla populations (of the two recognised sub-species) itself are estimated now to require 75 years for recovery, even in the unlikely event of hunting decreasing. Ebola virus in half of the habitat is also causing large mortalities. For chimpanzees, the outlook is hardly encouraging either. Classed as "endangered," since 1996, both the bonobo and the four sub-species of Pan troglodytes (common chimpanzee) are in serious decline. They, too, suffer from the twin curses of edibility and Ebola virus in several countries. 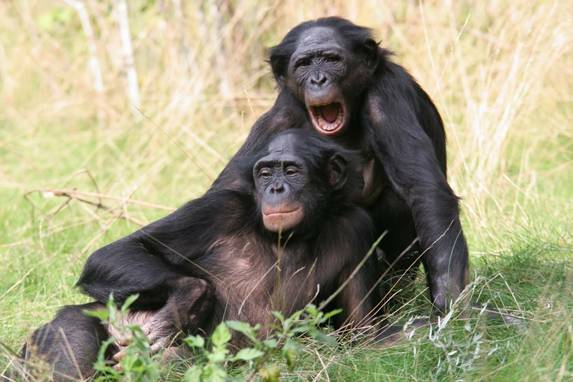 Two bonobos here represent the gracile chimpanzee, which has a much smaller population but is still classed as only endangered.